A group of physicians and human rights activist claim that the United States government used shoddy and intentionally biased science in order to downgrade what was considered torture to "enhanced interrogation techniques." According to the group, much of the research cited in okaying these "EITs" came from training that was used to prepare soldiers to have these same techniques being used on them if they were captured. Also, the training was based on situations where the soldiers would be subjected to the techniques only for very limited time periods, in a reduced manner, had given their consent, and were able to stop their participation at any time. 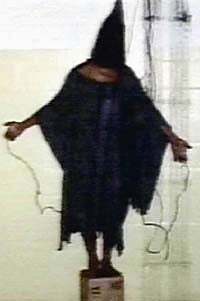 No attention was given to the long term psychological impact of extended interrogation. They also point the blame at doctors complicit in the situation, for not recognizing the reality that the detainees in their care were being tortured, regardless of what the military might say — a view reinforced by the examination of detainees according to international standards for the medical documentation of torture, which showed clear evidence of abuse.